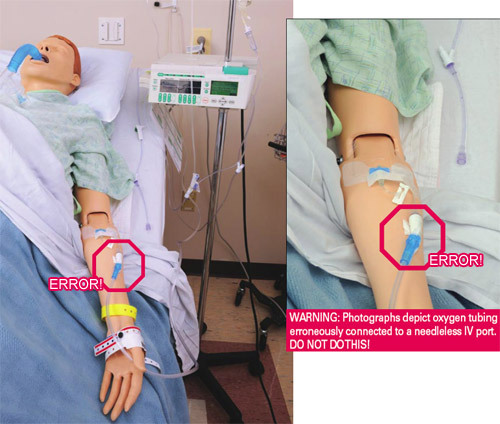 The Food and Drug Associate used a Manikin used to demonstrate medical device error. The pictures provide great detailed are so well done I thought it might give you ideas for your medical simulation and skills lab courses! 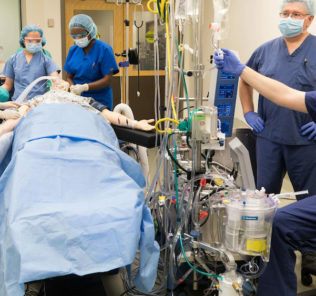 Photos like this can help learners, faculty or staff remember key details for manikin setups. Thanks to Crystal Mendez from St. Philip’s College in San Antonio Texas for the link. Check out the complete FDA medical error page for more examples.